Many of my Click articles end up with me banging on about how good Firefox is and how all my readers should consider using it as their main browser over Internet Explorer which is bundled free with Microsoft Windows.Since one of the main arguments I use is the large amount of third party add-ons that are available I thought this week I should probably corroborate that thinking by naming a few of them. Add-ons (otherwise known as extensions or plug-ins) aren’t pieces of software in their own right but rather small bits of code designed to integrate with an existing application in order to extend its capabilities in one way or another.Firefox like many other browsers on the market encourage users to take advantage of this facility so that they can extend their browser in a way that suits them. I’ve picked a few of the most popular plug-ins available, all of which are available free of charge by going to ‘Tools’ and ‘Extensions’ from within Firefox. Adblock Plus – Whilst Firefox itself stops the majority of pop-ups you can still find some pages have intrusive adverts which Adblock Plus aims to stop.Install it into Firefox and immediately banner ads and other intrusive adverts will be removed from your browsing experience resulting in less interruptions and faster download times. 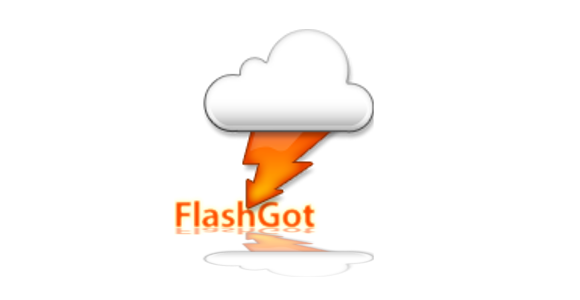 FlashGot – FlashGot is used to download entire sites quickly and easily which can be useful for offline browsing as it removes the necessary to save pages to disk one page at a time.It also includes a build gallery function so you can download and store every image from a site quickly and easily. Video Downloader – Watching videos on the Internet is certainly handy but often if the video is embedded into the page it is difficult to save it on to your hard disk.If you install this add-in you will be able to click one button to save it to your computer permanently. Tab Mix Plus – This extension improves the tab capabilities of Firefox to include features such as duplicating tabs, reopen closed tabs and a session manager which can save and restore combinations of tab windows should Firefox run in to trouble. Torrent Search – My more astute readers will remember me talking a bit about Torrents a few weeks back.This plug-in allows you to easily search for downloads in more than 27 of the top Torrent search engines.This is a subject I’ll be covering more thoroughly in a future article but if you missed the original article please check out www.computerarticles.co.uk. Answers – Once installed simply hold down the <Alt> key and click on any word present on a website to get details on what the word means along with related references. Search Status – This is one of my favourites and a must for anyone involved with creating and promoting their own website. Search Status displays the Google PageRank and Alexa report of any page that you visit so you can immediately tell how popular it is – especially useful for comparing your sites against the competition.I’ll be giving a crash course in using PageRank and Alexa to promote your website online in a future article but in the meantime this plug-in is certainly worth installing so you can get a feel for these two systems. It’s worthwhile noting that many of the above plug-ins are also compatible with Opera so even users of this browser may find it still worthwhile checking out addons.mozilla.org.Of course there are extensions that focus on Internet Explorer but as I am trying to convince my readers to switch allegiances it will be a while before I cover these in Click.